Training is an important focus at Incat with significant effort put into coordinating and managing various training programs and initiatives. The HR Team works closely with Incat’s trainees and apprentices in addition to those individuals completing mature age training and recognition of competency programs. Incat has a long standing and close relationship with Tas TAFE. 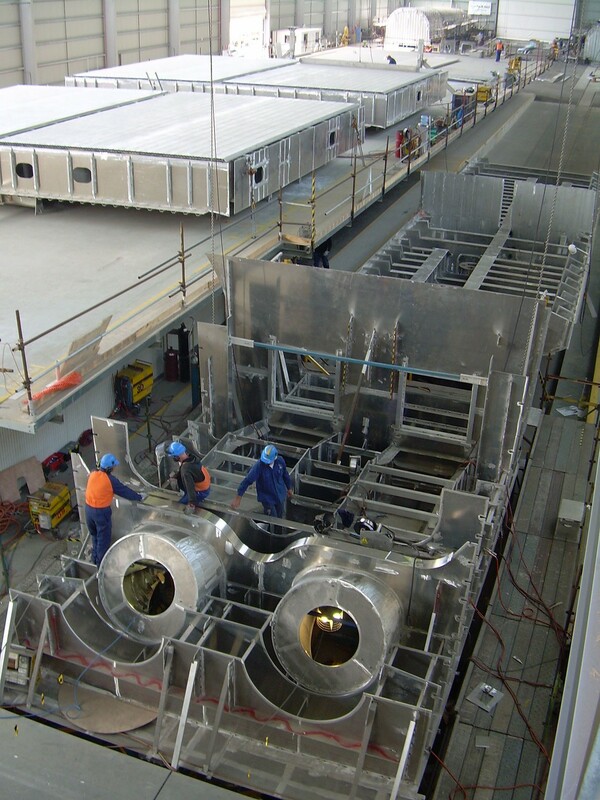 The purpose-built College of Aluminium Training constructed adjacent to the shipyard offering a training package in world’s best practice aluminium shipbuilding. Incat and Tas TAFE set a worldwide standard in competency based training and tradespeople receive qualifications recognised internationally. We recognise that people are our most valuable resource. Training personnel in the appropriate knowledge and skill to develop their full potential and carry out their work in an effective way, is a high priority at Incat. Our focus will be on further development of high performing work teams. Cascading responsibility down through all levels of the organisation. Clearly defining roles, responsibilities and reporting relationships that support and seek to improve work place flexibility. We recognise the need to encourage and foster more participation and consultation in the workplace, further improving our communication structures and channels to maintain understanding, commitment and pride in our activities. We aim to provide an environment where employees are encouraged to express views and share new ideas without fear of recrimination. We recognise the need for more specialist and management support and achieving a streamlined flat management structure. We aim to ensure our management and supervisory teams are respected and seen as well organised, supportive and good communicators. We aim to provide a quality HR service by creating a safe, healthy and supportive environment where staff and employees are valued, respected and able to realise their full potential. Incat in conjunction with TAFE Tasmania also recognise individuals who have work skills and experience yet do not have certified trade papers. If a person can demonstrate skills learnt from previous study or from life experiences, it may be formally recognised as a trade. Incat will assist you to get that trade qualification. Incat believes an investment in training is a great way to get the job done, both now and for the future. or call TAFE Tasmania on 1300 655 307.